Forget flowers and pajamas. Want to show Mom a wild time for free? Mother’s Day is Sunday, May 14. It’s a great day to take Mom to the zoo to thank her for putting up with all of your monkey business! At Stone Zoo and Franklin Park Zoo in Massachusetts, moms get in free on Mother’s Day. Visit Franklin Park Zoo’s western lowland gorilla Kiki and her offspring Kimani, Kambiri and Azize, and maybe Mom will appreciate that she doesn’t have to pick bugs out of your fur, at least. Tamarin mom, Wilma, and her baby are photogenic favorites, too. At Stone Zoo, say “hi” to white-cheeked gibbon mom Iggy and her young duo Paddy and Jian, and be sure to stop by Windows to the Wild to see Linne’s two-toed sloth mom Lunesta with baby Molasses. 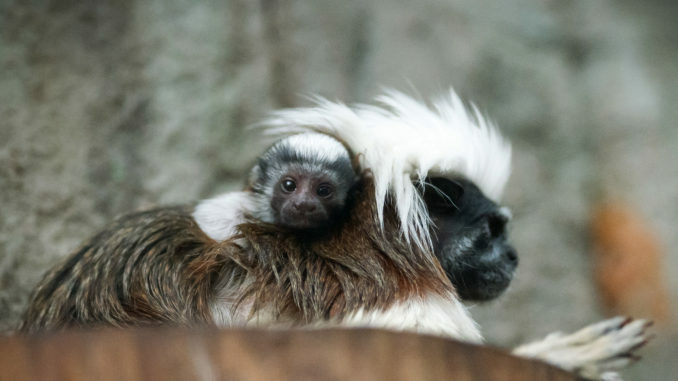 Connecticut’s Beardsley Zoo in Bridgeport offers free admission for all moms and grandmas accompanied by at least one paying guest on Mother’s Day Sunday, too.